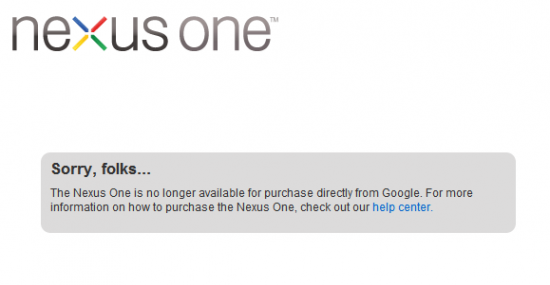 As we warned was imminent, the Nexus One is no longer available directly from Google, as supplies have been exhausted. Google.com/phone has been replaced with a simple message directing customers to a help center article outlining carriers that supply the device. Carriers will continue to sell the device until their own stocks are depleted. Batty: I had in mind something a little more radical. Tyrell: What... what seems to be the problem? It’s been real, Nexus One.